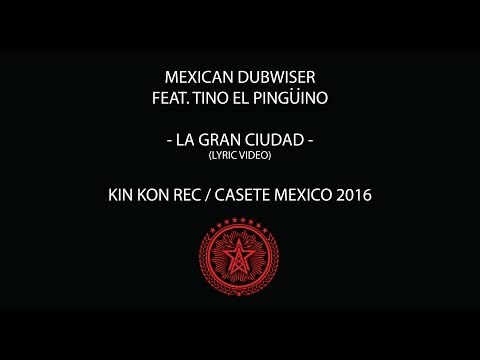 Since relocating to Los Angeles, CA from Monterrey, Mexico in 2001, Mexican Dubwiser has been constantly creating and developing its own post futuristic sound, a fusion of electronic dance music with traditional Latin American and Caribbean rhythms as well as hip hop, funk, rock, and soul. 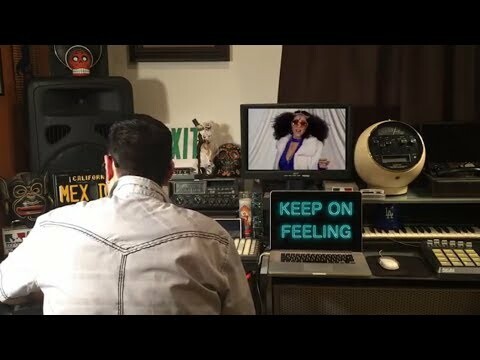 The boundary pushing electronic duo, comprised of Ulises Lozano of Kinkyand Marcelo Tijerina, is now back with their third and strongest album yet, Border Frequency, which takes their musical concept to a whole new level. From the album’s opening, dance-floor burning track and single “Lecture Me” to the closing Hip Hop and R&B inspired “Walk to the Future”, “Border Frequency” represents the next step in the duo’s sonic journey and takes the listener on musical voyage through contemporary U.S. and Mexican borderlands. It’s their first album to be released under the joint venture of Kin Kon Records and The Music Joint and their first to feature lyrics primarily in English. Self-produced by both Lozano and Tijerina, the album includes collaborations with a who’s who list of notable artists from Mexico and the United States, including Tito Fuentes and Randy Ebright of Molotov, Money Mark (producer and musical collaborator with the Beastie Boys and Beck), soul-singers Katrina Blackstone andMyron Glasper, and Hip-Hop MCs Self Provoked and Natty Speaks. Mexican Dubwiser will be celebrating the release of Border Frequency with two noteworthy full-band performances. The first will take place on Sunday, March 19 in Mexico City at Vive Latino Music Festival, one of Latin America’s largest and most important music festivals. The second album release performance is set for the Havana World Music Festival on Saturday, March 25.